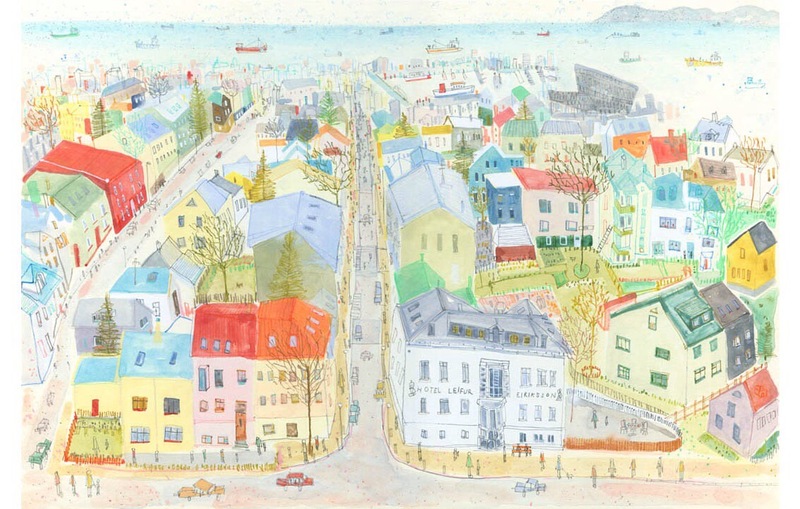 Thanks to the magic of Twitter, I came across these magical pieces of Reykjavík , created by Clare Caulfield. Clare is a Yorkshire based artist and printmaker whose work is inspired by her travels to some of the world’s greatest cities, some of which she returns to again and again drawing on new ideas each time. Her collection includes Paris, Venice, New York, Rome, Prague, Istanbul and Sydney. The magic of each location being recreated in Clare’s very distinctive and illustrative style of working. 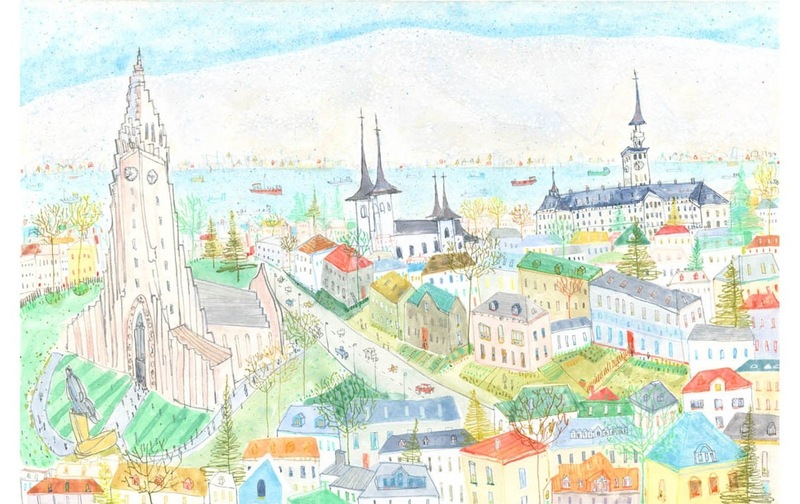 She produces mixed-media paintings, original handmade prints, limited edition prints and handmade cards which are exhibited throughout the U.K.
For more details go to Clare’s website, or online store. Many thanks to Clare for letting me reproduce her artwork here. « Bonus chapter now available!